Jackie Cherryhomes believes in the power of community. This November 2013, she is running for Mayor of Minneapolis. 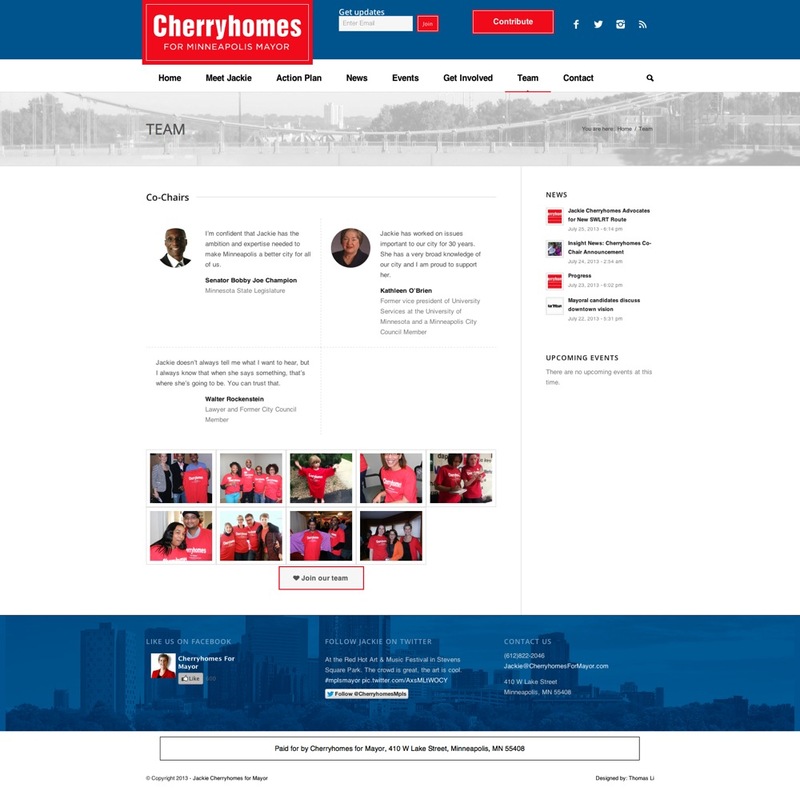 Her campaign recently engaged Thomas Made to reinvigorate their campaign website. As a City Councilmember for 12 years, and as Council President for 8, Jackie led Minneapolis through a dramatic housing and economic boom. 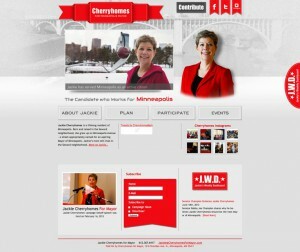 Jackie is a trailblazer in Minneapolis and wanted a website that showed the innovative spirit of her campaign. 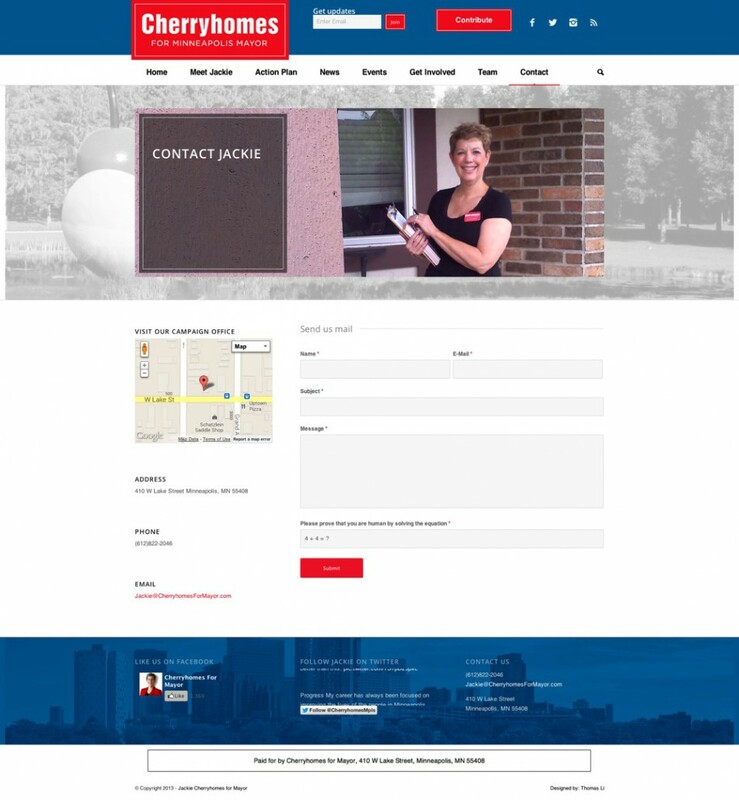 Jackies’ previous campaign website was hard to maintain and its design limited content growth. 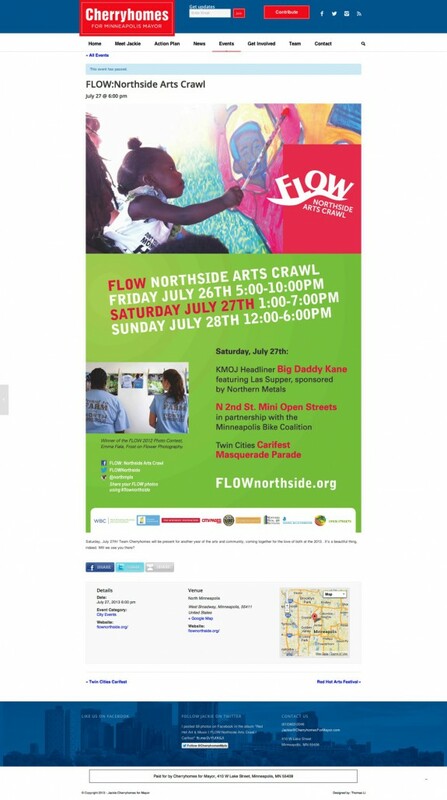 The campaign wanted a flexible website to expand and deliver a mobile, user-friendly, and inviting experience. With a thorough understanding of the client’s requirements, we proposed a more comprehensive structure and architecture for the website redesign. We put the focus on quickly turning over a redesign that reflects Jackie’s ideas and values, but also reorganized the content to create much needed clarity. 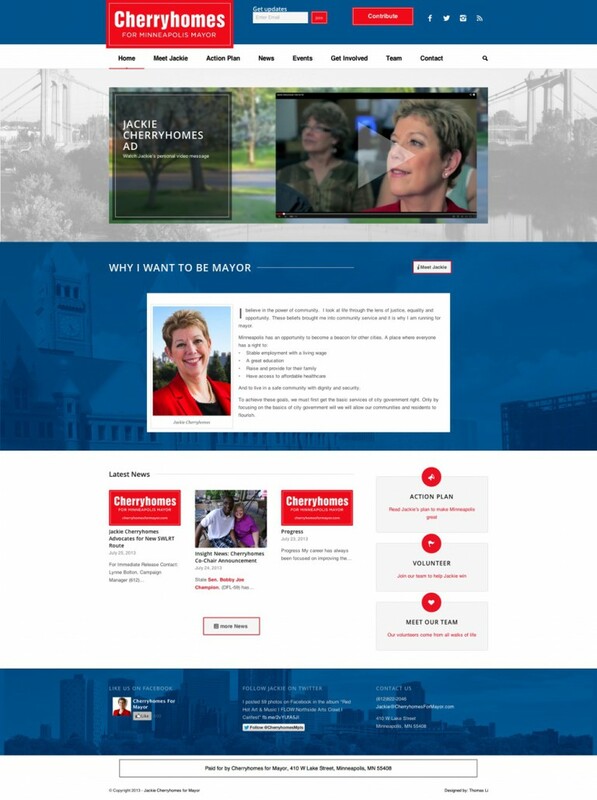 The outcome is a refreshing overhaul of the Jackie Cherryhomes for Mayor website, with a much more engaging, inviting and positive experience for site visitors. The new website is easily managed with a comprehensive Content Management System and provides a consistent experience for users. 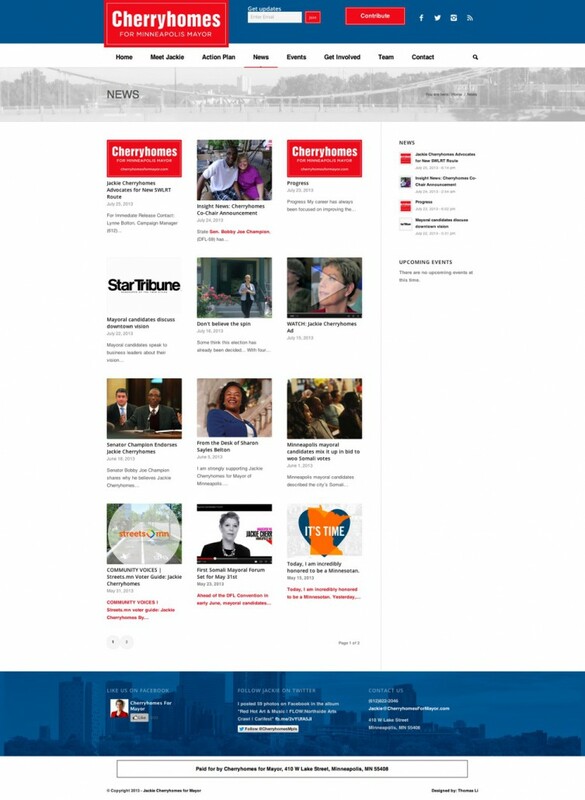 The completely responsive design allows the campaign to communicate with supporters and voters across all devices- mobile, tablet or desktop computer.